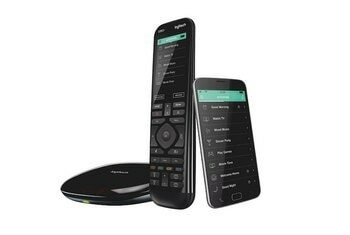 Logitech capably leverages its acclaimed Harmony universal remote design to incorporate a growing number of popular home automation platforms and devices, including Nest, Hue lights, and SmartThings Smarthome. Most reviewers found setting up home automation devices to be easy. 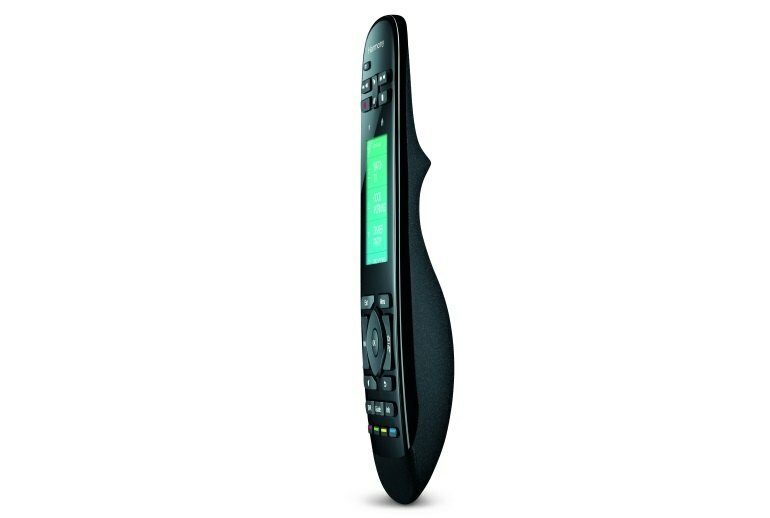 The touch screen remote provides an easy-to-use alternative to the smartphone apps most competitors use. 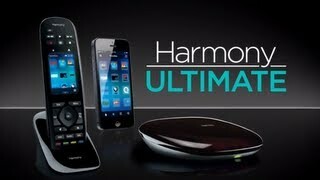 The Harmony Ultimate Home is a pricey remote that doesn't include any actual home automation devices. The Ultimate Home does not support Zigbee and Z-Wave devices out of the box--although you can add these platforms through an extender. The Ultimate Home is limited to 15 devices per hub. 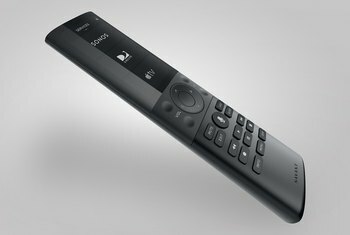 The Logitech Harmony Ultimate Home system integrates popular home automation devices--thermostats, locks, lighting--into the home entertainment platform Harmony remotes have supported for years. 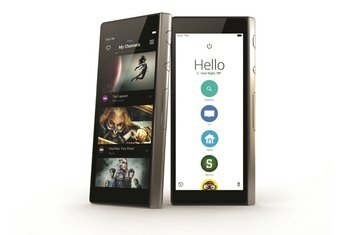 Consisting of a hub that connects to your home network via Wi-Fi, a touch-screen remote and optional smartphone apps, the Ultimate Home lets you control individual devices or set up groups of commands to activate multiple devices simultaneously. 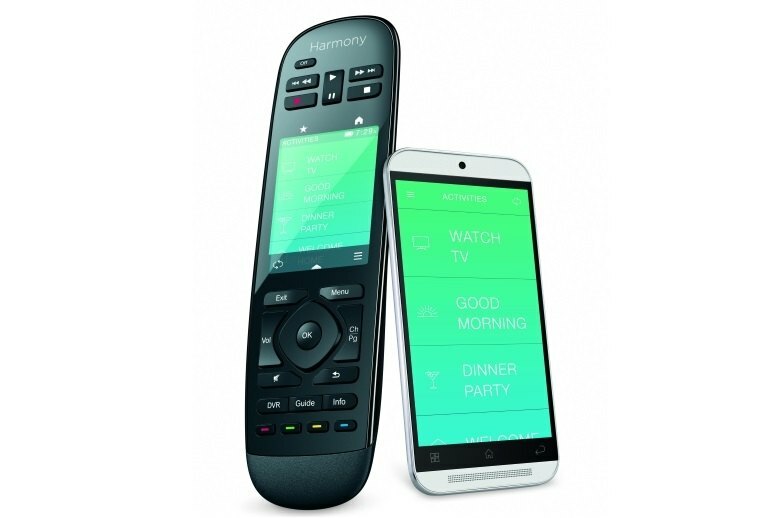 The Harmony wizard sets up home automation devices the same way you incorporate TVs, set-top boxes, audio systems and other entertainment center components. The Home Control clicker builds upon the superb Harmony Smart Control with better button placement and dedicated keys for home control systems, like Philips Hue lighting and Nest thermostats. It's also available in black or white, the latter making it stand out better in a dark room. … I still appreciate how easy the MyHarmony computer software is to use (the app setup tool is another story). On the other hand, I have virtually no experience installing thermostats and in-wall lighting switches, but Lutron and Honeywell made that easy, too. The smart integration between all of the products was exactly that: smart. Its $349.99 price tag still makes it hard to justify if you don't have a complex home theater setup or a ton of connected devices, and Z-Wave and ZigBee device compatibility will require you to buy an additional extender. 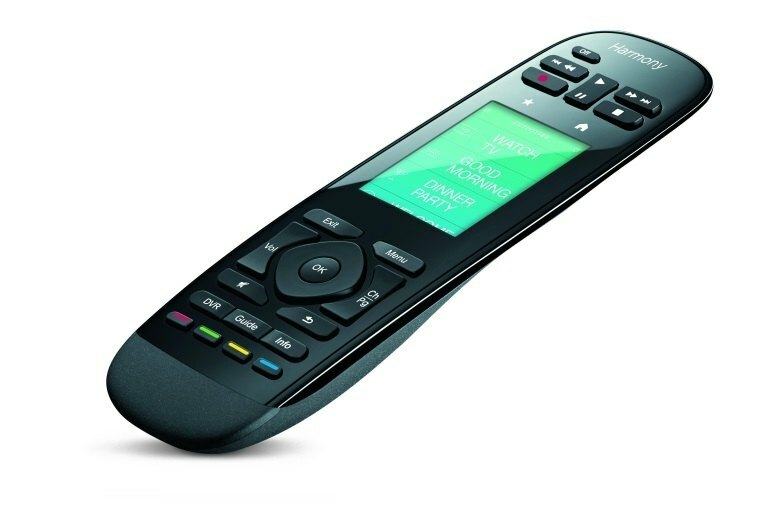 But the Logitech Harmony Ultimate Home is the most powerful universal remote you can buy, and worthy of our Editors' Choice award. The banner feature here is integration with a wide variety of other devices from companies like Nest, Peq, Lutron, SmartThings, and more. This universal remote control for my entertainment system can also act as a smart home hub like the Quirky Wink, and let me dim the lights, close the shades, lock the doors and even change the temperature, all from my couch. Once they resolve the problem with the firmware update on the Macbook App, which they are currently working on (which definitely looks a much better set up tool for the remote) I think this will be a huge plus. I found the setup needlessly awkward and irksome; the installation required four separate steps when it should have required only one. 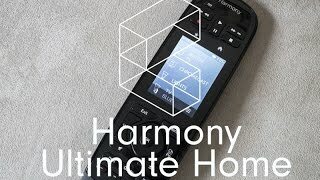 At $350 the Logitech Harmony Ultimate Home isn’t cheap, but it can connect a large part of your home with the push of a single button, and turn your iPhone into a remote control. The app lets you create groups or “moods,” so you can change your settings with just one touch of the screen. This system is nearly perfect for controlling a home theater system. I am able to not only control my television, stereo receiver, Apple TV, and Roku but also my Vornado fans. I have two in my living room and both are activated effortlessly via the IR blasting hub. I can turn on television or television with the fans. When finished, one button instantly shuts everything off. It is amazing to also be able to add the simple remote (screenless) to the system and both remotes stay in sync. I keep each remote in a different location, not to mention the excellent ability to control everything from my iPhone and iPad as well. The only feature that could make the system better is the ability to control everything from outside of your home network, but I don't know how useful that would be. I have already experimented with turning my system on moments before I walk in the door (via my far-reaching WiFi). Highly recommended! 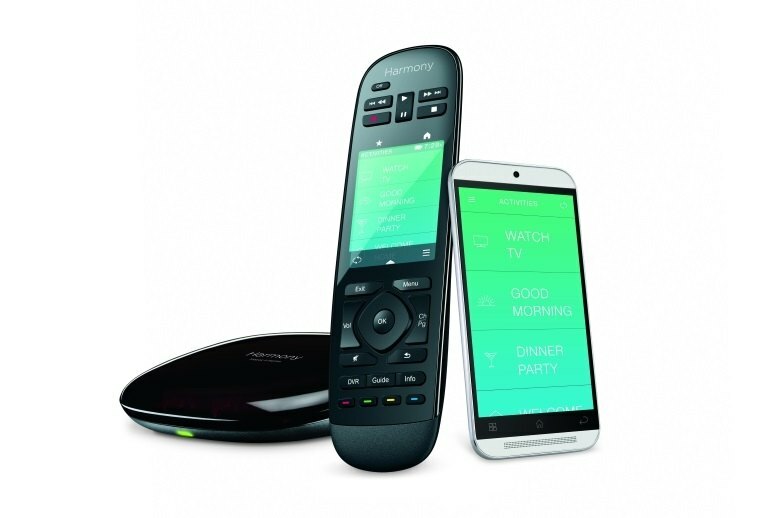 Logitech Harmony Home Edition And A Philips Hue Lighting Demonstration.